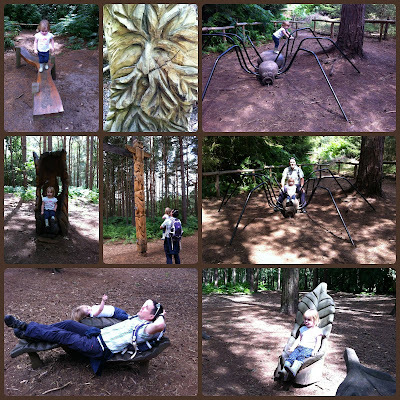 Today we visited Rushmere Country Park for the first time and thoroughly enjoyed exploring this lovely park. When we arrived we popped into The Herons View Visitor Centre to pick up a map and the Guide was really helpful with explaining the different areas we could explore. 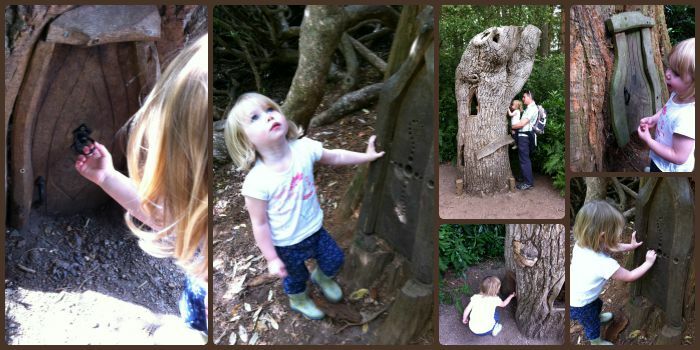 So off we set and along the first part of our walk we found lots of fairy doors. They're really sweet and I kept encouraging Little Miss A to knock on the doors to see if there were any fairies indoors. Unfortunately they were all out today - they must have gone on their summer holidays! 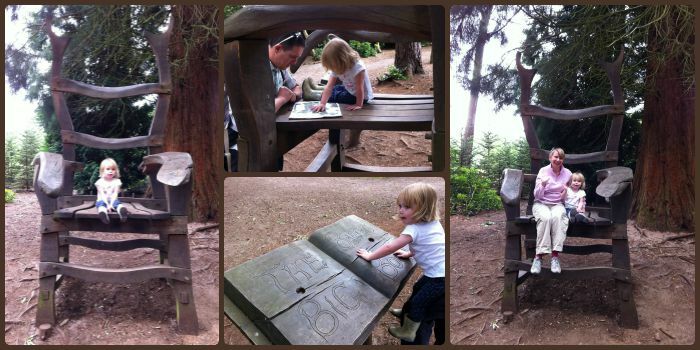 Our next find was Giant's Chair. Little Miss A looked so small sat on it. I even managed to get a picture of the two of us together - normally she doesn't pose for photos with me! As we carried on our walk we came across lots of other sculptures. It made the walk great fun with Little Miss A as you never knew what you were going to find next. She had to climb or sit on each one! After managing to reunite a lost dog with its owner, we headed back to the Visitor Centre and the restaurant for a spot of lunch with a great view overlooking the Heronry (we didn't spot any herons today but the Guide informed us they'd had over 20 pairs nesting this year). We covered such a small area of the Park today so we're already planning a return visit soon to explore more. Definitely a really great find. Highly recommended. The Park is managed by the Greensand Trust. It is near Leighton Buzzard and it took us just half an hour to drive there. It's really easy to find and car parking is just £2 for the whole day (you pay when you exit). It was a really lovely place to go. I'm so glad we found it and will be frequent visitors now I'm sure. Thanks pixiedusk! You can't beat a good fairy adventure! I'm sure we're going to make up lots of stories for these doors as Little Miss A gets older.